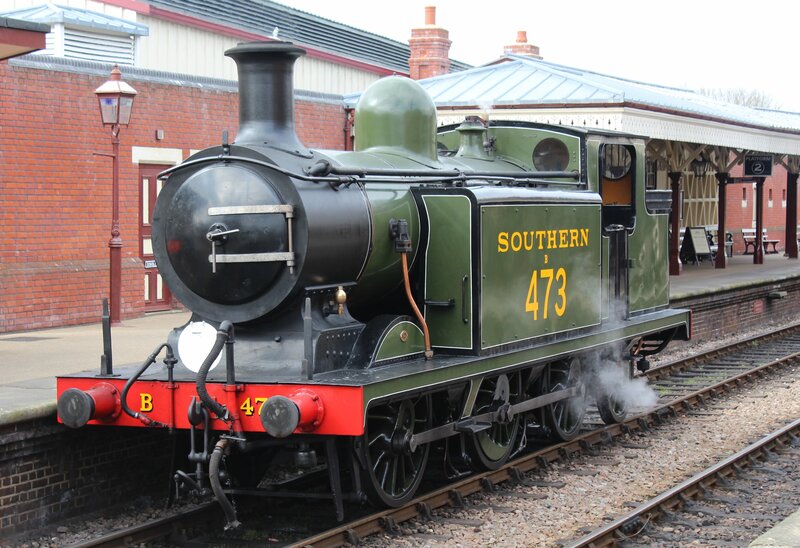 Built at around the turn of the nineteenth century, the E4 class were an 0-6-2 Tank engine built for the London Brighton and South Coast Railway. 75 E4 tank engines were built from 1897 to 1903 to a design by Robert Billinton. 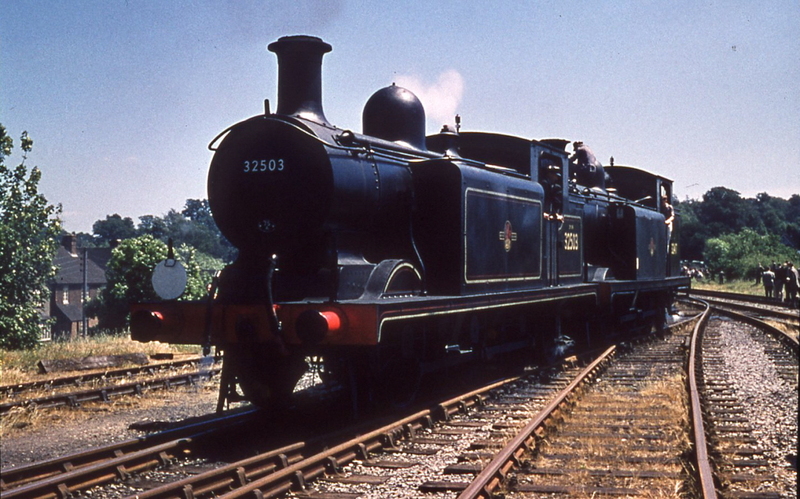 They were a development of the E3 class that had its roots in an 1891 design by William Stroudley. Marsh modified the E4 class design, four being rebuilt as the E4x class and the remainder given new boilers and extended smokeboxes. 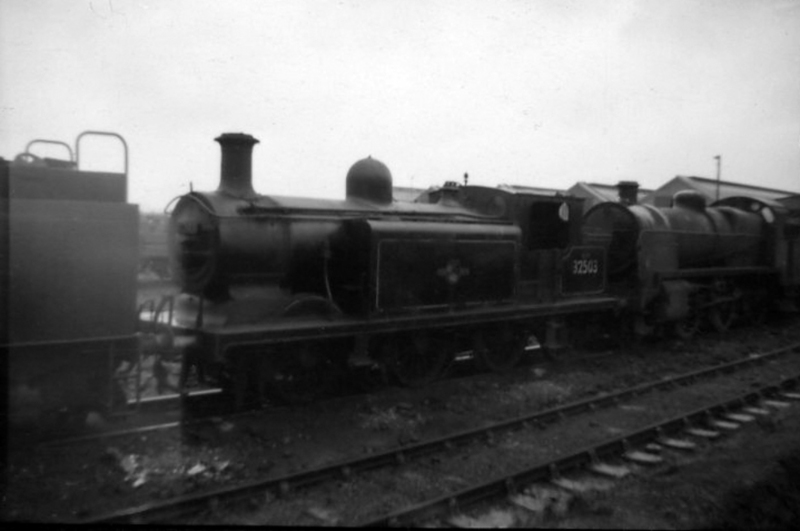 Conversions continued from 1910 to 1949 and therefore there are a myriad of livery/shape variations in this period. The class were designed for suburban traffic in London and it is interesting to reflect on the rapid changes in motive power required for this task. Before the railways, there were no suburbs, but the massive increase in speed and mobility brought by train travel allowed this to happen. Despite being the promoters of suburbia and its development, the speed and scale of this urban change clearly caught railway companies by surprise and necessitated a rapid increase of technology to move so many people. consider that the much smaller Terrier tank were built for similar tasks around 20 years previous to the E4. The E4 class were fairly short lived in their suburban role, being displaced by electrification. 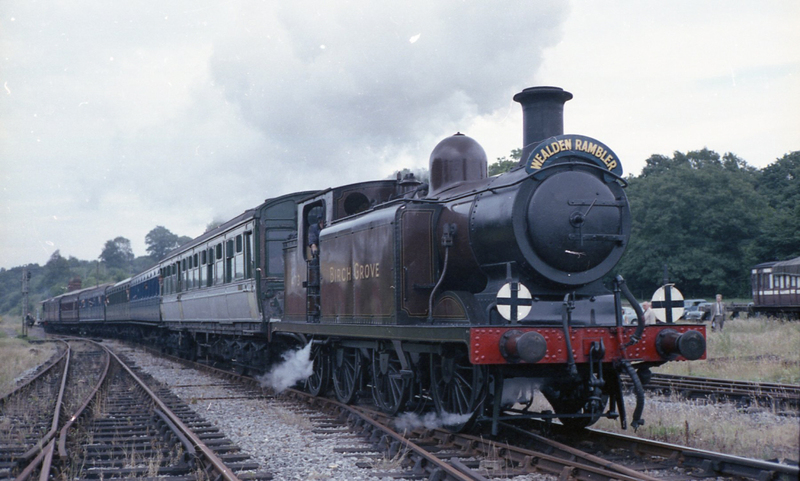 However, as they were at the tail end of steam power development for the suburbs of south London, they soon found many uses outside of the capital, similarly to the LSWR’s M7 class. They had bigger wheels than the E3 class and smaller than the E5, making them useful for mixed traffic. Being useful machines they lasted well, in fact if it wasn’t for a loss as a result of enemy action in the Second World War, all would have made it through Southern Railway and into British Railways ownership. 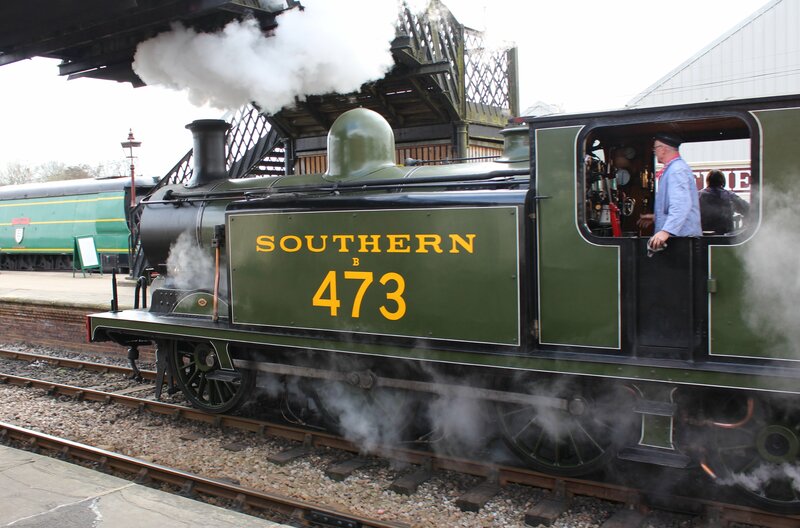 The locomotive lost was Southern Railways no 2483 (formerly named Hellingly), destroyed by one of a number of devastating low level attacks made by the Luftwaffe in 1942 on the coastal town of Eastbourne, where 2483 was stabled in the motive power depot. Many people ask what a “radial” tank is. 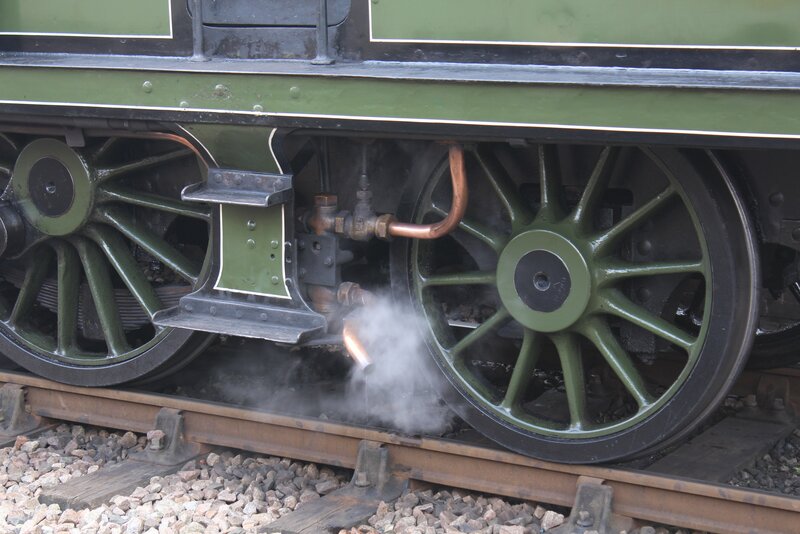 It comes from its trailing wheels having a radial axle; an axle designed to move laterally along the arc of a circle. The E4 class provided decades of good service on local passenger and freight work. In British Railways service, some served as station pilots. B473 is the only survivor of the class and indeed the only product of Robert Billinton that is with us today. 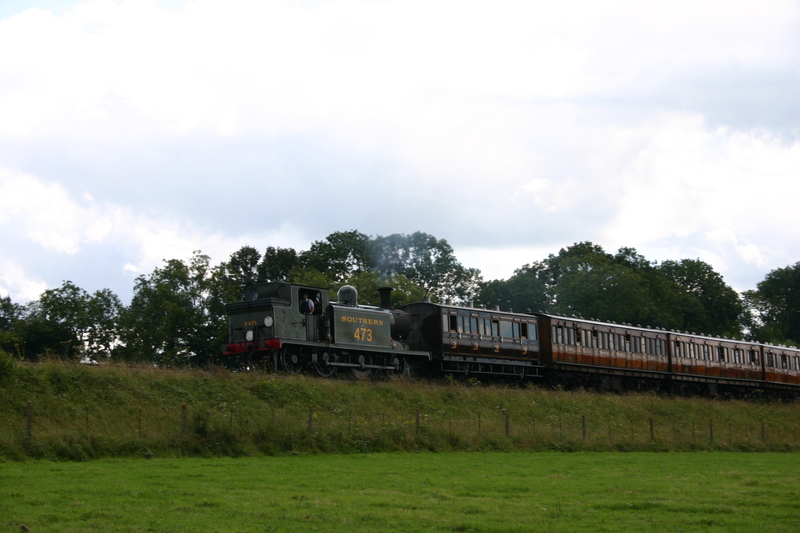 It is pictured in the gallery below on the Bluebell Railway, the locomotive’s home.